Address: 692890 Primorsky Kray, pos. Lazo, Tcsentralnaya st., 56. 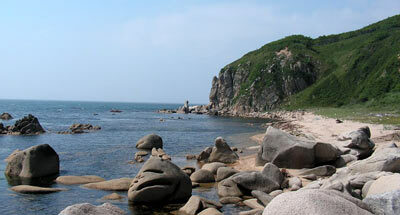 Zapovednik Lazovsky, in the southern part of Primorsky Krai, was established in 1935 as a branch of the Zapovednik "Sikhote-Alinsky". In 1940 it was re-organized into an independent Zapovednik (Sudzukhinsky); in 1551-1957 it did not operate, and in 1970 was renamed Lasovsky. Its area is 120,0 thousand ha. The Zapovednik is located in the southern part of Sikhote-Alin between the rivers Kievka and Chernaya; it includes two islands in the Japanese Sea — Petrov and Beltsov. 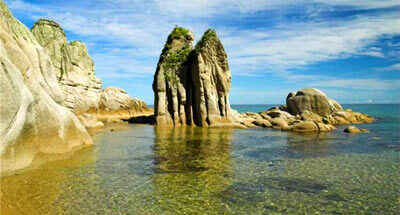 The topography is mostly low-mountain, the elevation being 500-700 m above the sea level. Some tops of the range Zapovedny (Nageevskaya, Chernaya) reach 1200-1400 m above the sea level. The river network is dense, comprising mostly the left tributaries of the Kievka River. The woodland is 96% of the area. 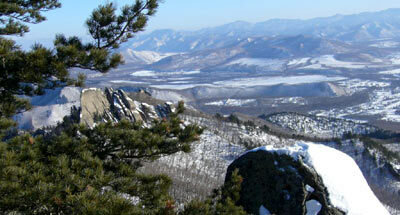 The highest diversity of nature complexes among the Far Eastern Zapovedniks is characteristic. The altitude zones are typical of Sikhote-Alin — from shore communities, oak forests and Siberian pine-broad-leaved shore forests to fir-spruce taiga and shrub formations under golets (bald mountains) thickets. The Petrov Island has Far-East largest yew grove. The flora contains a number of relict and endemic species, and some of them are listed in the Red Data Book of the Russian Federation, including Quercus dentata, Japanese yew, Aralia continentalis, etc. The animal world includes species of different origin, but the contribution of the Cis-Amur faunistic complex is significant. The Zapovednik is an important reserve for rare big mammals: the Amur tiger, Asiatic black bear, sika deer, goral. The Far Eastern leopard occasionally appears. All of them are listed in the Red Data Book of the Russian Federation. The following avian species are listed in the Red Data Book of the Russian Federation: the merganser, mandarin duck, osprey, white-tailed eagle.